For Jaranak, the visit to Earth at the dawn of the 20th century isn’t going well. Here to rescue another shipwrecked alien, he and his crew crashed – and now they’re trapped themselves. Blending in won’t be easy with their blue skin, but they have no choice if they’re going to complete their mission. He might have gotten away with his disguise if he hadn’t met Lilly. The human female may be lovely but her annoying questions are far too clever, and she won’t leave him alone. Worst of all, Jaranak isn’t sure he wants her to. There’s something about the sassy woman that draws him in irresistibly. All her life Lilly dreamed of following in her parents’ footsteps and exploring the South Seas, but a childhood illness left her unable to do more than read about it. When Jaranak turns up pretending to be from an undiscovered island, she knows that the tall, gorgeous man is lying. But finding out where he’s really from will give her more than she’s bargained for. Lilly isn’t the only human interested in Jaranak’s secrets, and the others are far more dangerous. When they come after him and his ship, can he keep Lilly out of the line of fire without losing her forever? 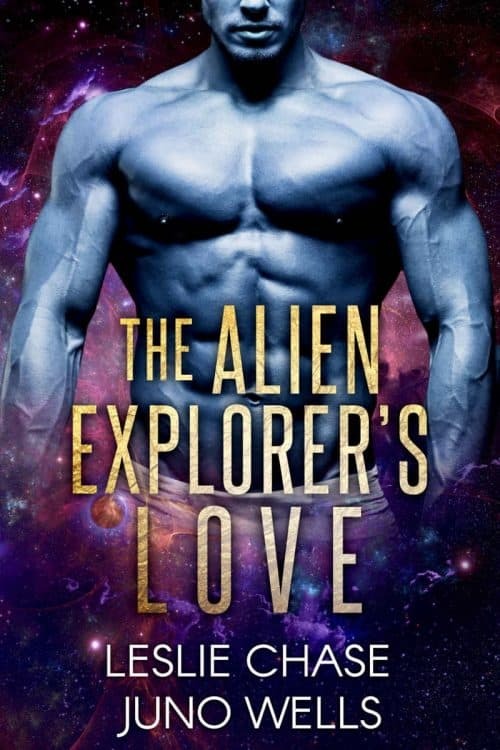 The Alien Explorer’s Love is a standalone science fiction romance. No cheating, no cliffhanger, and a happy ever after!